The Royal Aircraft Factory S.E.5 was a biplane fighter aircraft and belonged together with the Sopwith Camel to the best British airplanes of the First World War and ended the German air superiority. Under the direction of Henry Folland, John Kenworthy and Major Frank Goodden, the Royal Aircraft Factory started to develop a fighter aircraft, which should take the powerful Hispano-Suiza 8 engine with 150 HP, which was already used in the B.E.2, F.E.2 and R.E.8 aircraft. 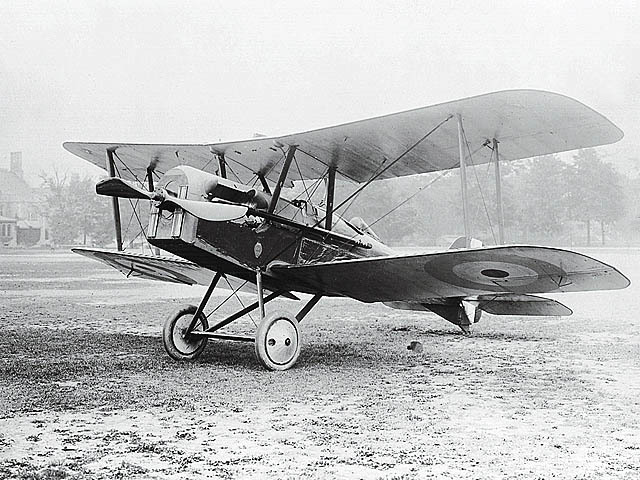 The first prototype could already be flown on 22 November 1916, in the coming weeks further prototypes followed. The engine proved to be very unreliable at first, and the developer Major Frank Goodden was killed when his prototype crashed on January 28, 1917. Only the third prototype could convince with some modifications and adaptations and flew not only very stable, but the airplane survived also crash flights with maximum speed where other airplanes could not keep up any longer. Finally the S.E.5 achieved a speed of about 222 km/h and was one of the fastest aircraft of the war next to the SPAD S.XIII. After the first series of 77 built aircraft, the construction of the series S.E.5a was started. With this series the nose, the radiator fins as well as the exhaust pipes were extended. 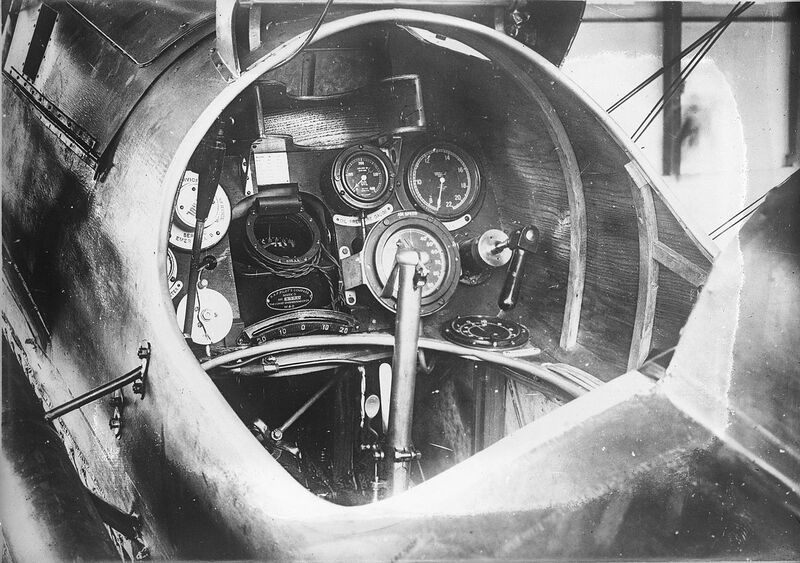 In addition, the chassis was reinforced and the headrest of the pilots was removed to improve the all-round visibility. With the 200 HP strong Hispano-Suiza or Wolseley-Viper engines the performance of the airplanes could be further clearly increased. A 7.7 mm Vickers machine gun served as armament from the beginning, which belonged to the first machine gun of the Royal Flying Corps synchronized with the transmission of the engine. At the beginning it was mounted on the side of the engine, but later in production the gun was placed over the engine. 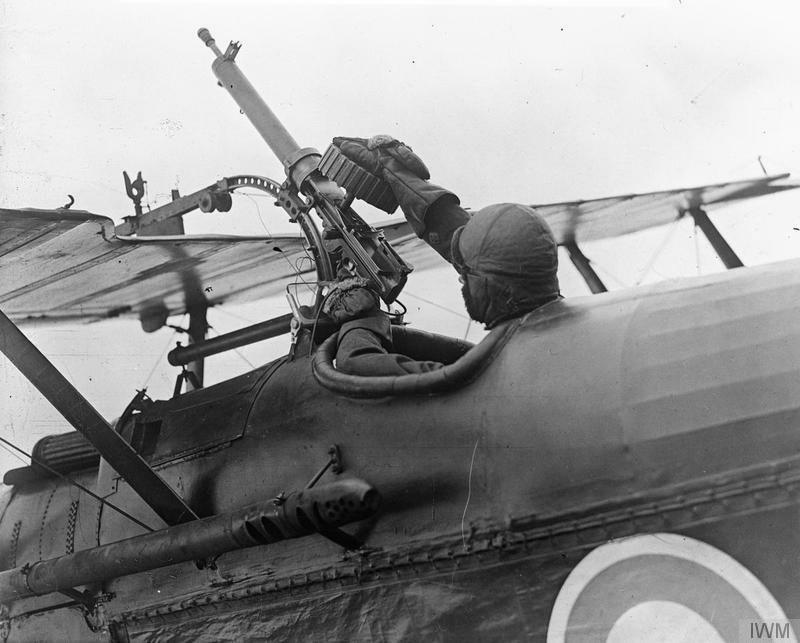 A 7.7 mm Lewis machine gun was placed on the upper wing to be able to fight enemy aircraft from below. 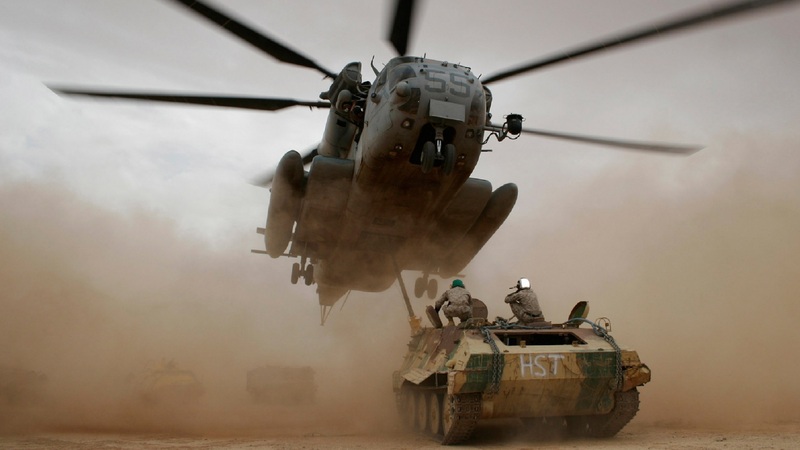 In March, the 56th Squadron in Great Britain was equipped with the first S.E. 5 aircraft. 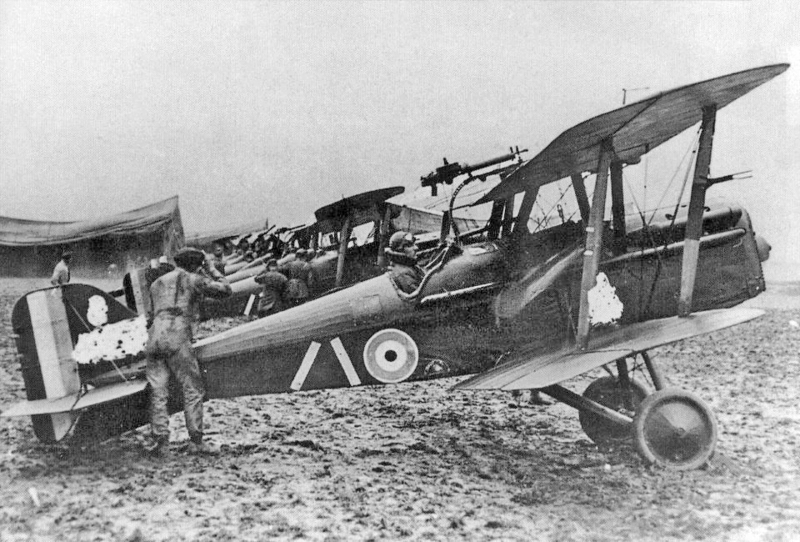 After the Squadron had been fully equipped and moved to France, the first flights on the Western Front began on 22 April. Already after the first flights the Squadron leader Major Blomfield ordered the exchange of the large windscreens against clearly smaller ones. Also the complaints of too weak performance changed from June 1917 with the introduction of the stronger S.E.5a variants of the aircraft. Due to the delivery difficulties with the Hispano-Suiza engines by the French companies, only a few British squadrons could be equipped with the S.E.5a aircraft until the year 1918. In addition after the war entry of the USA also two squadrons were developed in the service of the US Army with these airplanes. By the end of the war there were 21 British squadrons and 5,265 aircraft built. Beside the Sopwith Camel the S.E.5 belonged to the airplanes with which the Allies succeeded in shifting the German air superiority at the western front to their favour starting from the summer 1917 bit by bit. Even when the Germans introduced the Fokker D.VII, which was the best fighter aircraft of the First World War, the S.E.5 was the only British aircraft to be able to keep up to some extent. After the war, many of the aircraft were sold to private individuals for 5 pounds. A former British pilot wrote letters with a S.E.5 to the sky over London for the first time on 30 May 1922.